When the days start getting shorter and the nights start getting colder, we begin to think about heating our homes. We strive to be comfortable in our homes even on the coldest days of winter. With comfort in mind, Schumacher and Farley, understands that no other single system in your home plays a larger role in your comfort than your heating system. 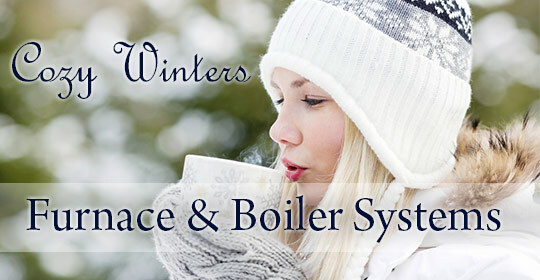 We specialize in the design and installation of the most advanced, energy efficient heating systems. Recent advancements in new technology allow us to reduce energy consumption through the use of products that are cleaner, quieter, and more efficient. These products can cut your fuel bills up to 40% with an average payback on new equipment within 5 years. Our skilled technicians will walk you through the design process, thoroughly explaining all of your product and system options. They will help you choose a heating system that will fit your budget and provide you with cost-effective comfort for many years to come. Call Schumacher & Farley with confidence – we guarantee 100% satisfaction on all of our heating services, or your money back! Call to book your appointment today!